The family is the most powerful unit of human civilization & evolution. It is the micro unit which has never been changed by various influences. The CHIRA -JEEWA health family concept has been introduced to give a biological & medical complementary support to this unit without affecting its psychological & sociological basis. This micro structure exists unchanged even with major religious, Social & political philosophies & with the influences of them. It will remain unchanged even with the influence of modern science & technology. The most important feature of CHIRA – JEEWA health family concept is that there is no such conflict with the established family culture. What is the basic structure & objectives of this concept? 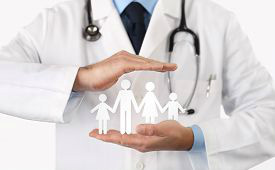 To build up an environment within the family where each family member actively participates on each other’s health problems more efficiently than before. To build up a family environment where members maintain more open discussions regarding their health issues, but within the cultural framework. Like the breadwinner of a family who is the leader of family economy , through this concept we expect to allow the correct leader of the family to be raised who can give the leadership to the health issues of same family. To expand the CHIRA –JEEWA membership for people who have understood our vision mission & health care operations more correctly. 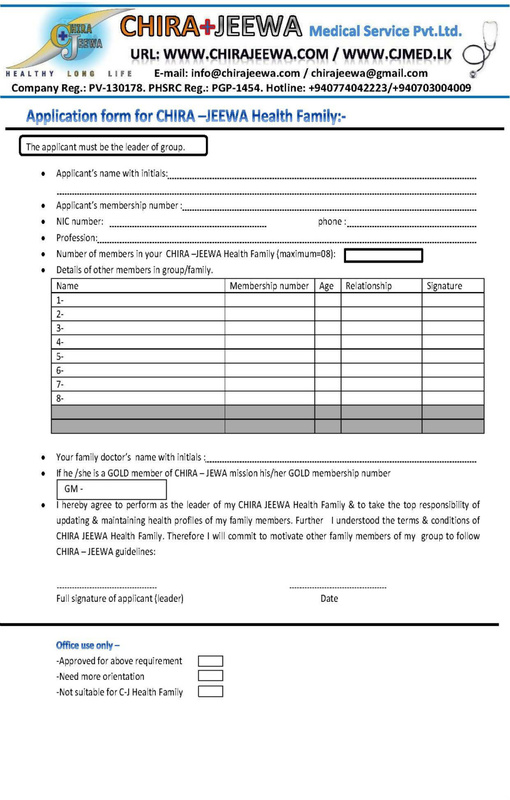 To give the opportunity to get CHIRA –JEEWA membership for people who have less awareness about western medicine, information technology & health management through a guardian in same family, thereby to expose our services to even “non -eligible“ individuals. To establish the correct path within the family where medical advices & health educations flow from top to bottom. How do you take hand with this CHIRA- JEEWA health family concept? The maximum number of patients should be less than 8, except in very special situations where we allow it to be 10 as maximum. These 8 members should not necessarily represent your nucleus family. But you can join few other members from your disperse family to make less than 8 members. This family member group is supposed to meet & discuss in a one place regarding their health problems at least once in a month. This is an open forum discussion. This discussion should last at least 90 minutes. Each member should document their health problems (which are reviled during this discussion) in the provided note book. N:B: : it will be advantageous to tread our “ self – health assessment guideline “ by each adult member before starting this discussion. Therefore read it at least once in a month. After this “health – discussion “you must follow below 3 steps as usual. Step -3 : Pay your membership fee. This must be done separately for each family member in the group. 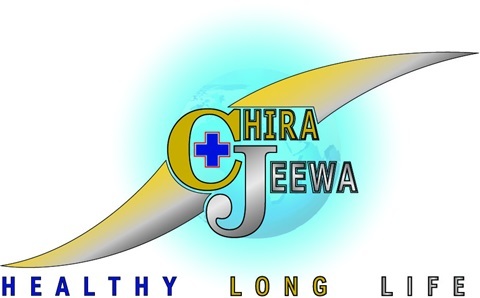 What are the privileges you can get as a CHIRA –JEEWA health family? You will get a common user name & a pass ward for all members of the group for your health profile accounts in web. This is convenient for the leader of this group during communication with us & with various doctors .You will get the facility to go this journey with us as a strong family. For the group members below 20 years of age will get discounts for their membership fee. For all group members you will get discounts for all services obtaining through our organization. Your group leader can maintain more close relationship with our network. Therefore the leader will be updated regarding the health problems, risk factors & future plans of his /her group members. This method is much stronger than maintaining individual health profile accounts in our service mission, because it creates more confidence & group responsibility. You will get special chances to screen diseases descending form your pedigree (genes) & due to environmental factors, through this concept. How do you get this membership ? 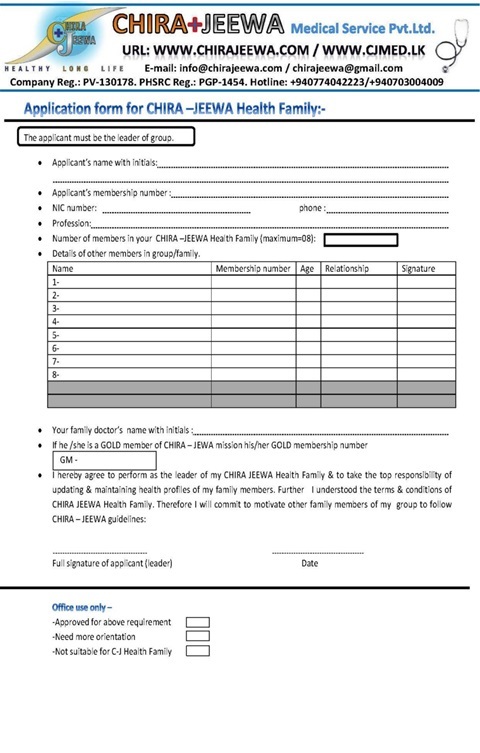 Each family member must register as a CHIRA – JEEWA member first & must maintain their membership for more than one month. Then the group leader must fill the application form after the 2 ad month and can send us through any convenient route. 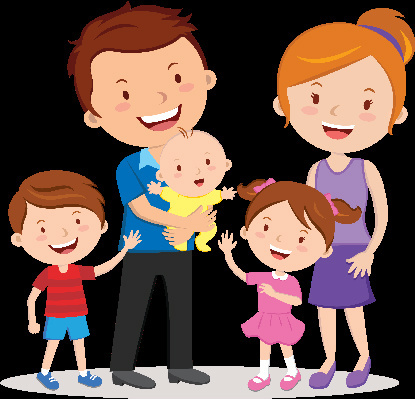 If your family fulfills the criteria which we consider to give this special membership you can perform as a CHIRA –JEEWA health family from 3 rd. month onwards. මානව ශිෂ්ඨාචාරය තුළ මේතාක් බිහිවු බලවත්ම සහ ශක්තිමත්ම ඒකකය පවුලයි. ලොව පවතින සියළුම බලවේගයන් හමුවේ මෙතෙක් වෙනස් නොවී පවතින ව්‍යුහය හෙවත් ඒකකය පවුල් සංස්ථාවයි. එහි මනෝ විද්‍යාත්මක සහ සමාජ විද්‍යාත්මක හරය නිසි ලෙස අවබෝධකරගෙන ඒ තුලට ජීව විද්‍යාත්මක නැත හොත් වෛද්‍ය විද්‍යාත්මක අනුපුරකයක් ලබාදිමට චිර -ජිව සෞඛ්‍ය පවුල [CHIRA – JEEWA HEALTH FAMILY ] සංකල්පය හඳුනවාදි ඇත. විවිධ ආගමික සමාජ සහ දේශපාලන දර්ශනයන් හමුවේ මෙන්ම නවින විද්‍යාව හමුවේද එය වෙනස් නොවී ඉදිරියට යනු ඇත . වෙනස් කිරීමට ගත් එවැනි උත්සාහයන්ද අසාර්ථක විය.චිර - ජිව සෞඛ්‍ය පවුල සංකල්පය තුල එවැනි ගැටීමක් නොමැති වීම විශේෂත්වයක්. මෙහි මුලික ව්‍යුහය සහ අරමුණ කුමක්ද? 1) පවුල් සංස්ථව තුල එකිනෙකාගේ ‍සෞඛ්‍ය ගැටළු පිළිබදව එකිනෙකා වඩාත් උනන්දු වන පරිසරයක් ගොඩනැගීම. 2) සෞඛ්‍ය ගැටළු පිළබඳව සංස්කෘතික රාමුව තුල සිටිමින්, පවුල තුල වඩාත් විවෘත සංවාදයන් ඇති වන පවුල් පරිසරයක් ගොඩ නැගීම. 3) පවුලේ ආර්ථිකය සහ වෙනත් කටයුතු වලදී නායකත්වය ගන්නා සමාජිකයෙකු බිහිවන්නා සේ , පවුලේ සෞඛ්‍යය පිළිබඳව නායකත්වය ගත හැකි නිවැරදි පවුල් සමාජිකයා බිහි කිරීම. 4) චිර - ජිව වෛද්‍ය සේවයේ දැක්ම සහ මෙහෙවර නිවැරදිව හඳුනාගෙන එහි හරයන් සමග ඉදිරියට යා හැකි සාමාජිකයින් සංඛ්‍යාව වැඩි කිරීම. 5) චිර - ජිව ක්‍රියාන්විතය තුල ගැබ්ව ඇති තොරතුරු තාක්ෂණය, සෞඛ්‍ය කළමණාකරනය, සහ වෛද්‍යවිද්‍යාව පිළිබඳ මුලික දැනුම සහ අවබෝධය නොමැති පුද්ගලයින් හට එවැනි දැනුමක් සහ අවබෝධයක් ඇති සිය පවුල තුලම වු සාමාජියෙකු හරහා එම සේවාවන්හි විශිෂ්ඨ ප්‍රතිඵල විඳිමට අවස්ථාව සලසා දීම . 6) වෛද්‍ය උපදෙස් සහ නිර්දේශයන් පවුල තුල ඉහළ සිට පහළ මට්ටම දක්වා ගලා යැමේ නිවැරදි ක්‍රම වේදය ස්ථාපිත කිරිම. මෙම චිර - ජිව සෞඛ්‍ය පවුල සංකල්පය සමග සම්බන්ධ වන්නේ කෙස්ද? 1)උපරිම සාමාජිකයින් සංඛ්‍යාව 8 කට සිමා විය යුතුය. ඉතාමත් විශේෂිත අවස්ථාවකදී පමණක් මෙම සංඛ්‍යාව 10 කට ඉහළ දැමීමට අවසර ලැබේ. 2)මෙම සාමාජිකයන් ඔබගේ න්‍යෂ්ඨික පවුල තුල සාමාජිකයන් පමණක්ම විය යුතු නැත. ඊට ඔබගේ විස්තෘත පවුලේ සාමාජිකයින්ද එකතු කරගෙන ඔබගේ අභිමතය පරිදි සාමාජිකයින් සංඛ්‍යාව උපරිමය 8 දක්වා ඉහළ නංවා ගත හැකිය. 3)මාසයකට හෝ මාස 2 කට වරක් මෙම සාමාජිකයින් සියළු දෙනා එක තැනක එකට වාඩිවී තම තමන් ගේ සෞඛ්‍ය ගැටළු පිළිබඳව විවෘතව සාකාච්චා කළ යුතුය. මෙම සාකාච්ජාව අඩුම තරමේ විනාඩි 90ක් (පැය 1 ක් වත් ) පැවතිය යුතුය. එහිදී සැගවි තිබී ඉස්මතුවන එක් එක් සාමාජිකයාගේ සෞඛ්‍ය ගැටළු අප විසින් සපයා ඇති සටහන් පොතේ කෙටියෙන් සටහන් කළ යුතුය. මෙම සෞඛ්‍ය සාකච්ජාව(Health Discussion) පටන් ගැනීමට පෙර චිර - ජිව සාමාජිකයින් සඳහා සපයා ඇති “ ශරීර සෞඛ්‍ය ස්වයං අධ්‍යන මාර්ගෝපදේශය” එක් එක් සාමාජිකයා කියවා තිබීම සාකච්ජාව ඉතාමත් ඵලදායි විමට හේතුවෙයි. ඒ නිසා අඩුම තරමේ මාසයකට වරක්වත් එම ස්වයං අධ්‍යනය සිදු කිරීම සදහා පවුලේ සියළු දෙනාම උනන්දු විය යුතුය. v පියවර 2 - හැකි පමණින් මාසික සෞඛ්‍ය කැලැන්ඩරයක් සටහන් කර එවීම. මෙම පියවර 3 එක්එක් සමාජිකයා සදහා වෙන වෙනම සිදු කළ යුතුය. චිර - ජිව සෞඛය පවුලක් ලෙස ඔබට ලැබෙන විශේෂ වරප්‍රසාද මොනවාද? 1)පවුලේ සියළු සාමාජිකයින් සදහා ඔවුන්ගේ අන්තර් ජාල වෙබ් පිටු වෙහි සෞඛ්‍ය තොරතුරු ගබඩාව(Health profile) වෙත පිවිසීම සදහා එක් පොදු user name සහ password එක්ක ලැබීම. මේ මගින් කාණ්ඩයමේ නායකයාට අප සමග කටයුතු කිරීම වඩාත් පහසු කරවයි. පවුලක් ලෙස එක්ව වඩාත් ශක්තිමත්ව අප සමඟ මෙම ගමන යාම සදහා ඉඩ පහසුව ලැබේ. 3)පවුලේ සියළු සාමාජිකයින් හට අනෙකුත් සියළුම සේවා ගාස්තු සඳහා 15% ක වට්ටමක් හිමිවීම. 4)කණ්ඩායම් නායකයා සමග චිර - ජිව ආයතනය වඩා වැඩි සබදතාවක් පවත්වා ගෙන යාම තුලින් සිය පවුලේ සෞඛ්‍ය ගැටළු සහ එහි අනාගත සැලැස්ම,අනාගත අවධානම ආදී සියළු දේ පිළිබඳව ඔහු /ඇයව නිතන්තරයෙන් දැනුවත් කර යාවත්කාලීන (update) කර තැබීම මේ තුලින් තනි තනිව Health profile පවත්වාගෙන යාමේ දිට වඩා සාමුහික වගකිමකින් සහ වැඩි ආත්ම විශ්වාසයකින් යුතුව අප සමග කටයුතු කිරීමේ හැකියාව ලැබේ. මෙම විශේෂ සාමාජිකත්වය ලබාගන්නේ කෙසේද? 1)පවුලේ එක් එක් සාමාජිකයා පළමුව චිර - ජිව සාමාජිකත්වය වෙන වෙනම ලබා ගෙන එය මාසයක් පවත්වා ගෙන යා යුතුය. 2)ඉන් පසුව කණ්ඩායම් නායකයකු විසින් (උදා: පවුලේ ගෘහ මුලිකයා) පුරවා අප වෙත භාරදිය යුතු අයදුම් පත දෙවන මාසයෙන් පසුව පුරවා භාරදිය යුතුය. 3)ඔබගේ පවුල චිර - ජිව සෞඛ්‍ය පවුලක් ලෙස ලියා පදිංචි කිරිමට සුදුසු ලෙස චිර - ජීව ආයතනය තීරණය කළ හොත් තුන්වන මාසයයෙන් පසුව ඔබට එම වරප්‍රසාදය ලැබෙනු ඇත (මේ සඳහා අප ආයතනය විසින් සලකා බලන සාධක කිහිපයක් සම්පුර්ණ විය යුතු බව කරුණාවෙන් සලකන්න). 4)එවිට එක්එක් සාමාජික ලියා පදිංචියෙන් මාස 3කට පසුව ඉහත වැඩ පිළිවෙල සමග ඔබගේ පවුලටම සම්බන්ධ විය හැකිය. Your family and medical records. How it helps you? - ඔබගේ පවුලේ /පරම්පරාවේ රෝග ඉතිහාසය ඔබට වැදගත් ඇයි? Your family and pedigree - පරම්පරාවෙන්, ජාන මගින් ඇති විය හැකි ලෙඩ රෝග නිවාරනය. Application form for C-J health family - චිර - ජීව සෞඛ්‍ය පවුලක් ලෙස ලියාපදිංචි වීමට අයදුම්පත. C-J Health family application - චිර - ජීව සෞඛ්‍ය පවුලක් ලෙස ලියාපදිංචි වීමට අයදුම්පත.